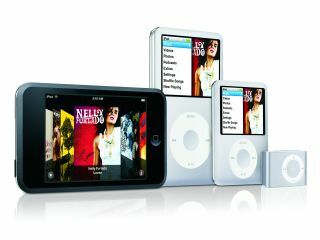 Is Apple about to beef up its movie service for iPod users? Further evidence has emerged for a massive coup by Apple in its quest for a viable movie download service. It's been rumoured for weeks that Apple has done deals with 20th Century Fox and other studios to bring movie rentals to iTunes. Now a Mac fan has found an iPod-ready movie file on a Family Guy DVD he received for its official launch in the US - which just happens to be the same day (Tuesday 15 January) as Steve Jobs' keynote speech at Macworld Expo where the Apple-Hollywood tie-in is expected to be made. All that remains now is to see whether Apple iTunes' movie offerings - whether they're rentals or download-to-own versions - will surface this side of the Atlantic. European iTunes fans have been badly served by Apple so far. Full-length movies are conspicuous by their absence on the UK iTunes Store, with only a few Pixar shorts and the relatively recent addition of over-priced episodes of TV series like Lost. No wonder DVD-ripping programs like Handbrake have proved so popular.